I wanted to take today and share with you my excitement over how my blog is growing. And to let you know that I'm tweaking some things. I give great credit to my recent follower growth to my sweet friend Lindsay and her invitation to cohost Show & Share. 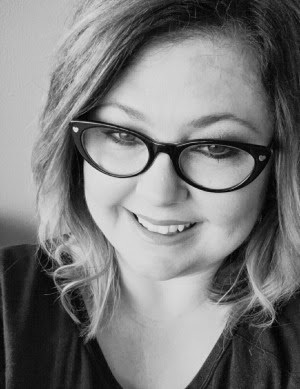 I knew it would be an opportunity for growth and already I have connected to some fun blogs and to some fellow Oklahoma gals!!! One being in the same town and I remember her from working at the State Farm!! What are the odds?! This makes me happy! Also opening up to sponsors has helped too....exciting stuff around here! Add to that a new blog design that I won from Ashley at Eisy Morgan! With all this I could feel development happening, if that makes sense, and I want to keep it going! *"Darling" is another word for "favorite", so with me featuring my fav links from Show & Share I felt like I was doing double with Darling Day, which isn't necessarily a bad thing but with getting to move the Darlings I can now have Friday to feature fashion/beauty stuff!! When I started out blogging I made a list of things I wanted to blog about and fashion was one!! And why not call it Chic Couture? Meaning fashionable clothes!! Show & Tell and I ♥ Etsy features will still be around. It just helps me to have a schedule and to be able to categorize content. So just wanted you lovelies to know what was up! Let me hear some feedback!! How has your blog grown? Have you ever tweaked it? I'm excited! And thrilled to have you lovelies along for the ride!! Ummmm hello awesome! I can't wait for Fridays now! (Ok well to be fair I am always excited for fridays-I mean who isn't excited for casual friday and the end of the workweek) I am just additionally excited for your upcoming outfit collages! Hey Sugar! Your blog looks beautiful!!! Have a wonderful weekend! I love it, I love it, I love it!! And I love your first chic couture, it's beautiful! Can't wait to see more!